Judd is woken up by his phone ringing. It’s loud and jarring and for a moment he can’t figure out where he is. This isn’t his usual room, none of the things in it are what he recognises. Then he realises, remembers where he is. He’s at home, the family home, and he’s in the house that he’s always had whenever he returns. He reaches for his phone as it continues to ring and he’s surprised when he sees that it’s Charlie calling him. “Hello?” he asks quietly, his voice thick with sleep. Judd blinks for a moment, trying to figure out exactly what Charlie is talking about. Then he remembers. It’s been three weeks since Judd declared that he was out of the drug dealing business and it’s been three weeks since he has been in touch with any of his old gang, apart from Reece. The other end of the line falls silent but Judd can hear Charlie breathing and the muttering sound of voices from wherever Charlie is. “Why? 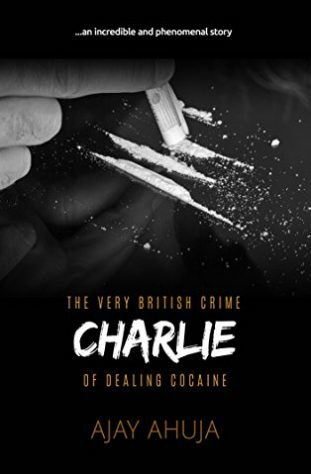 !” Charlie asks, his voice harsh. “Oh…” Charlie says quietly at the other end. “So you’re staying then?” Charlie asks. It’s not really a question though. Charlie hangs up and Judd rolls over to go back to sleep. He’s staying in Farlow, whether people like it or not.